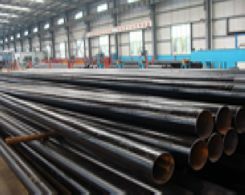 Steel pipes contains fo different kinds of forms and structures according to their end-use,such as black steel pipe,fence tubes,welded steel pipes,scaffolding tubes,structural steel tube,and so on. 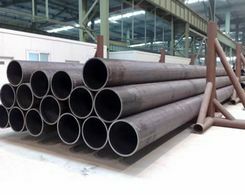 If you have more understanding of black steel pipe,you will know that there are a lot of benefits which we can get from steel pipes. Today,let's talk about that how many advantages which we can get from using steel pipes. First of all,when high resistance is needed against shock or vibration,steel pipes can beneficially be used. 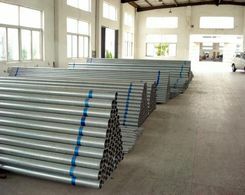 Perhaps you don't know that by the use of steel tubes,fluctuating pressure involved in static head or shock pressure arising from water hammer can be withstood. These are used in water pipes,fire sprinkler systems and pipe networks that carry flammable gases. As known to all that carbon steel tubes with carbon contents are subjected to rusting and the consequent corrosion. Thanks to atmospheric oxidation,ferric oxide is formed that separates away from the surface as flakes. And the surface corrosion is arrested in stainless tubes or in galvanized steel tubes. In the former case chromium is alloyed with steel and the surface coating of chromium oxide arrests further corrosion. Similarly, galvanized tubes, with surface coating of zinc checks rusting of steel pipes when exposed to the atmospheric condition. Alikely,galvanized tubes, with surface coating of zinc checks rusting of steel pipes when exposed to the atmospheric condition. Second,for government,in some cases,the advantages of using steel pipes is to the public in the shape of saving. The main reason is that steel pipes are dipped into a bath of molten zinc and kept there for some time after rinsing out rusted surface in acid. The internal and the external surface of the pipes get a thinner film of zinc and such pipes are called galvanized pipes,which are used as water pipes by laying them underground for supply of water for public utility. Due to the anti-corrosive quality of zinc, water does not react with steel and rusting and corrosion are checked. With it,these underground water supply systems facilitated by galvanized tubes last longer with almost zero maintenance cost. So that our local governments can benefit from these steel pipes.